Take your education to the next level with hours of presentations from some of the biggest names in the industry. Learn from some of the top traders, authors, and analysts in the world. Learn by day - network by night. Traders4ACause provides many opportunities to meet new traders, learn from experienced traders, and forge bonds that will last a lifetime. All charities are hand-selected to ensure every dollar has the biggest impact possible. He became member of the CBOE, NYSE, CME and CBOT and worked as a floor trader for some 25 years. Today, he is a professional investor, money manager, lecturer as well as co-founder of NajarianFamilyOffice and Rebellion Partners. Jon developed and patented trading applications and algorithms used to identify unusual activity in stock, options and futures. His HeatSeeker has sniffed out takeovers in numerous stocks and his data has been requested and provided to law enforcement & securities regulators to find those guilty of insider trading. Jon and his brother Pete founded TradeMonster and OptionMonster, which were rated "Best for Options Traders" by Barrons four years in a row. He developed the first online broker to deploy streaming, desktop-like trading in a web browser. 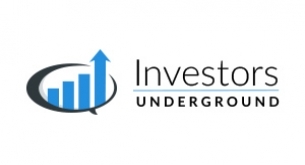 The brothers are founding members of Investitute.com, a financial education & subscription services company, as well as best-selling authors of both "How We Trade Options" and "The 22 Rules of Investing". This year's conference will be hosted at The Cosmopolitan of Las Vegas. Discounted Hotel Pricing will be available to all attendees. Traders4ACause is one of the only trading events I've known where giving is as important as receiving. Yes, traders receive insights and skills from experienced presenters, but they also share experiences with one another and give to a worthy cause. The annual meeting is a great way to help yourself do well, while also doing some good. The Traders4ACause conference was a top-notch event. The speakers were not only knowledgeable but very entertaining. Further, the attendees were some of the brightest minds in the trading community. It was definitely one of the best conferences that I have attended. So, if you’re looking to hear some awesome speakers or just learn from fellow traders I’d strongly urge you to attend this conference! I have been very proud to be given the opportunity to participate in Traders4ACause since the very beginning. I have attended every event my schedule has allowed over the last few years both as an attendee and speaker. In an industry driven by individualism and often selfishness I have been overwhelmed by the comradery and focus on a collective goal to make the world a better place by focusing on those in need. Traders4ACause is not just designed to "send a check for the tax writeoff" like many other charities in the world of finance. Their events, particularly the yearly Las Vegas conference are solely focused on making you the attendee a better trader and person, while accomplishing the goal of raising funds for some of the best charities in the world. If you are looking to give back and attend a very well organized and educational event, topped off with some great nightlife and other fun, I highly recommend attending Traders4Acause 2018 Las Vegas Event. I look forward to seeing you there. Every year, I look forward to Traders4ACause. You won't find another conference with so many successful traders gathered in one place, and the quality of information presented is invaluable. With every dollar raised going to some of the best charities out there, this conference is a great way to give back, while also getting a weekend of unparalleled education.